Looking for handmade Christmas food gifts that show your care for quality and style like our very special Christmas brownies? 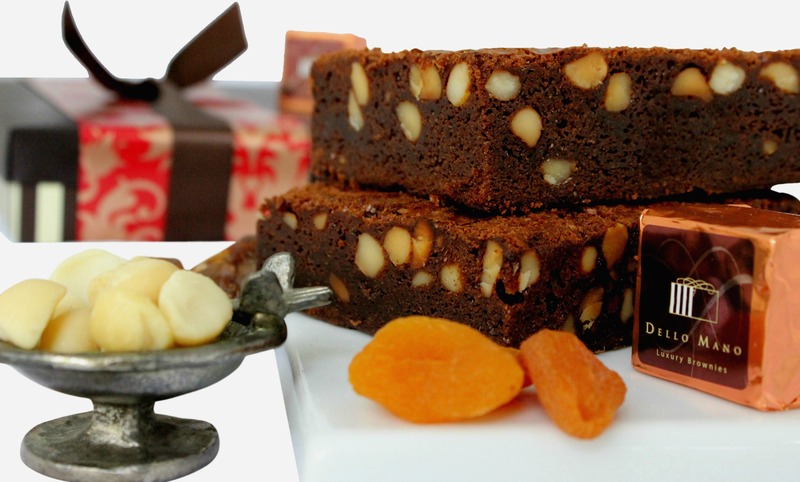 Way back now in 2004, we couldnt find many handmade premium food gifts that were commercially available and so we created our own Dello Mano brownies as the perfect corporate or personal gift. We both had backgrounds in chocolate and food and with all the passion in the world we thought we’d craft them by hand, using wonderful premium ingredients. And with that, they’d be the perfect size to be enjoyed by all and not left sitting for another year on pantry shelves. We wanted to create something so good it would be so great it would be enjoyed and finished. To achieve that we beleived the only was was to handmake the brownies. Our Dello Mano Christmas food gifts this year continue our now traditional Christmas Brownie gifts, Hampers, Chocolate gifts – and many other delicious food gifts. We again this year selected the items for our Christmas range that we believe our clients will enjoy like the Christmas Brownie Gift Boxes and our much loved Spiced Rum Christmas Brownie & Chocolate gifts as well as we have included new items like our Belgian Chocolate & Caramel Fudge with Cranberries and Pistachio. Each of our Christmas food gifts are lovingly made by hand carrying on the tradition now of 9 years of celebrating the holiday season. From day one of Dello Mano we were commited to handmade food and today, and many Christmas Brownies later! we still believe that food gifts of style and substance come from the uniquness and beauty of the handmade. Our devotion to beautiful ingredients and food handcrafted by real people makes we believe a real difference. 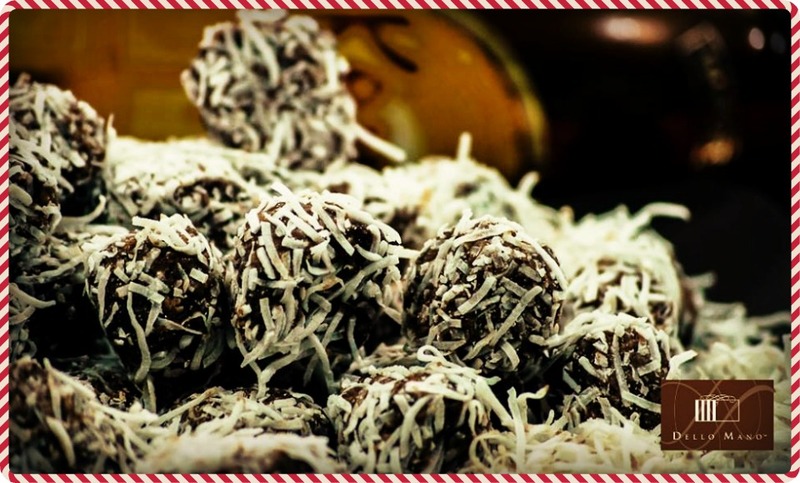 Some reasons why handmade food gifts are special? Everything handmade is special. And there are plenty of reasons why. First, you know quality ingredients are used. Much food these days is made in huge batches. As in huge. We’re talking about thousands of boxes here, manufactured and delivered daily. You can just imagine how tough the work is. Well, not really. Of course they use machines. Giant machines. And the process is usually always about cost. While there are companies that really do invest on high quality ingredients, you’ll never know until you visit their factory and examine the ingredients yourself. 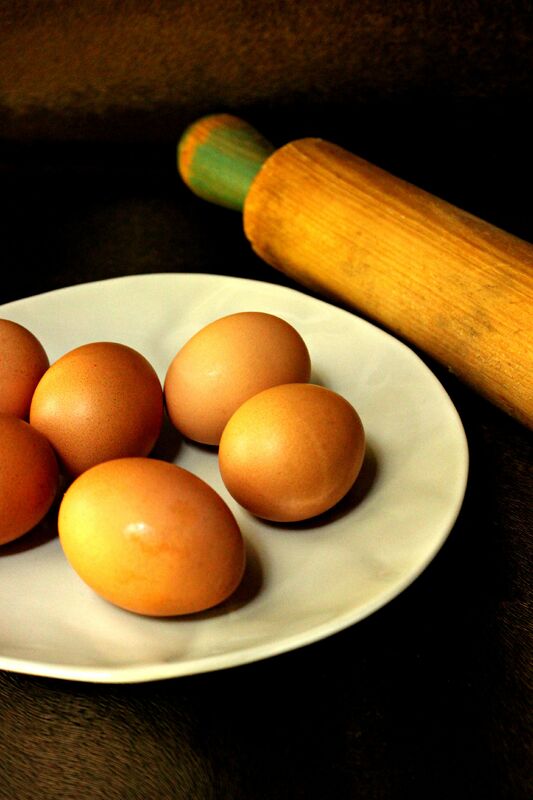 There are lots of ways to skimp on ingredients like processed eggs for example. At Dello Mano we have been buying Free Range Eggs since 2006 when we first began. Without the attention that these issues receive now, we were always commited way back then, to farm fresh egss and have always had them delivered from farm to our kitchen, by the farmer. Each little step like this along the way creates a food that is different and we know that the difference can be found in the taste. With Dello Mano handmade brownies and delicacies you can be sure that everything is made from scratch – using fresh, quality ingredients. We continue this commitment across all of our ingredients using only real Belgian Chocolate, butter and even our honey is produced by Bees in hives on the roof tops of Hutchies Buliders. All of these little things result in a luscious, luxurious and supreme chocolate brownies and food gifts. 2. Next, handmade goods generally don’t contain preservatives. Most people spend their money on processed foods, everything from the condiments we use at home to the dinner meal. But go ahead and check the label of each boxed goodie you’ve got in your pantry and you’re likely find food additives in each one of it. Yes, handmade foods aren’t made to last for long amounts of time and that’s because they don’t contain preservatives. When you open a box of Dello Mano brownies, you know you are enjoying handmade treats that are made with our original intentions, to create beautiful handmade food for you to enjoy now rather than store in the pantry. Absolutely better than the long life food products. Why do they taste different? As mentioned earlier, handmade food gifts and goodies are usually made using high quality ingredients. At Dello Mano we dont add anything that doesnt need to be there, so our recipes are simple and really celebrate beautiful ingredients. Our commitment to gorgeous ingredients and handmade food makes for food that really does taste better. Besides we’re a family business and in that sense we are in control of not compromising on our process or ingredeitns. Everything handmade is made from love. You know that each batch of Dello Mano goodies is made by the hands of people who really care to protect the value of handmade. It is their passion for real food that helps protect the art of cooking and inspires us all everyday. Food is intricate to every society and is so important in all cutlures. At Dello Mano we believe the creating and sharing food is central to human happiness and so even though it is increasingly the road less travelled, it is a road that we proudly protect and we hope very much that you will enjoy in the difference offered by Dello Mano Christmas food gifts. Handmade food is food crafted by people, not by machines. There is human touch. There is love. There is passion. Nothing beats handmade. So special. Simply incomparable.